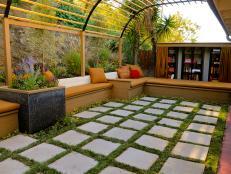 Ceiling fans help make entertaining in covered outdoor spaces a breeze. 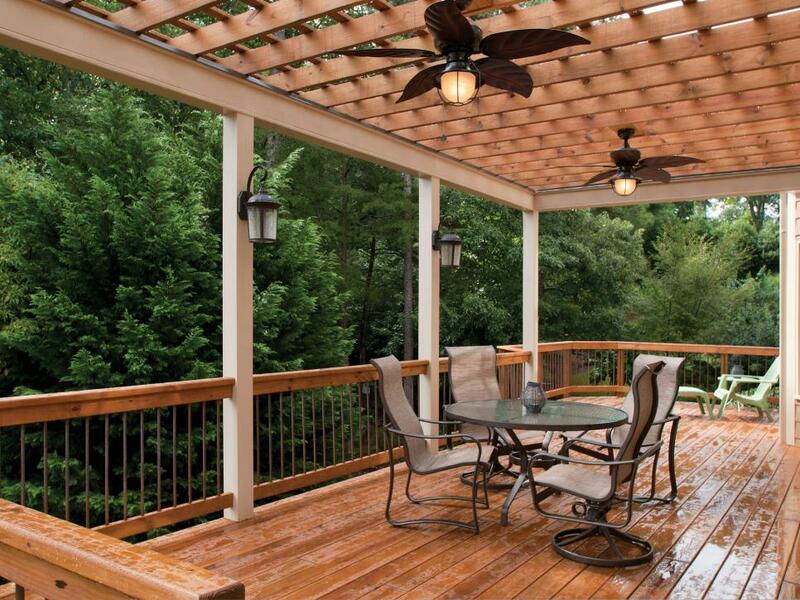 Atlanta Decking and Fence offers a smart tip for adding a ceiling fan to a pergola. 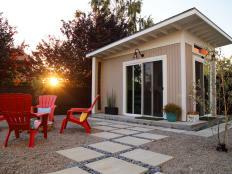 If the top of the pergola can be viewed from a second-floor window, route wires or conduit for a ceiling fan to hide them. 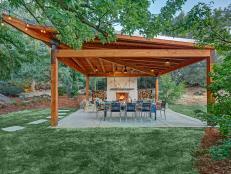 Outdoor living spaces and extra details such as ceiling fans are becoming even more important in home construction. 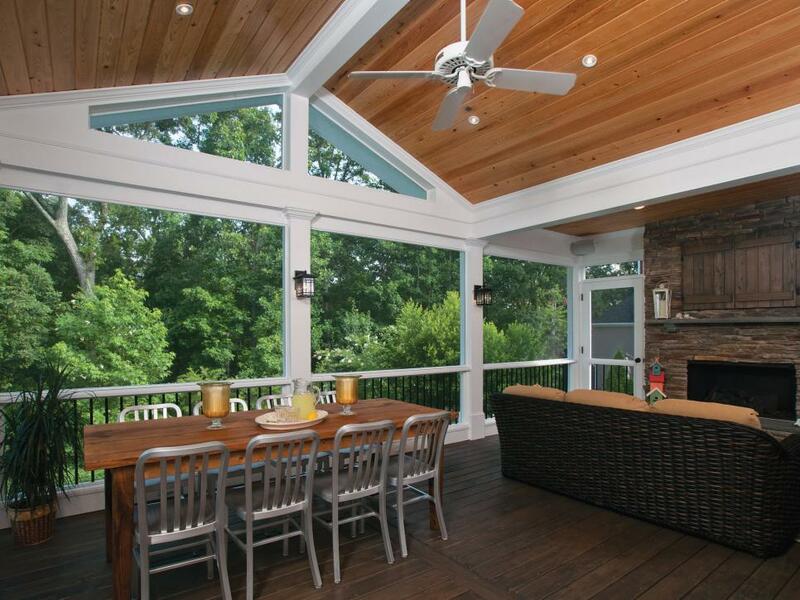 This covered deck designed by Edward Andrews Homes in a new community in the Atlanta suburb of Roswell, boasts a paneled ceiling with a ceiling fan, providing a breeze and illuminating the seating area. 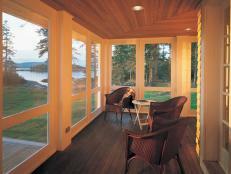 Ceiling fans on a paneled ceiling can be functional and complete the look of a screened-in porch. 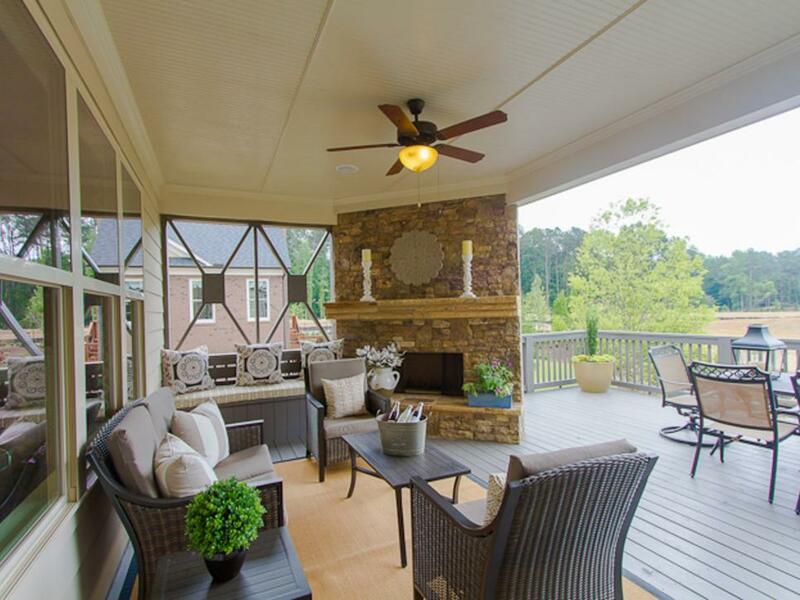 For this fireside porch, Atlanta Decking and Fence also added extra details such as recessed lighting, curtains and molding. 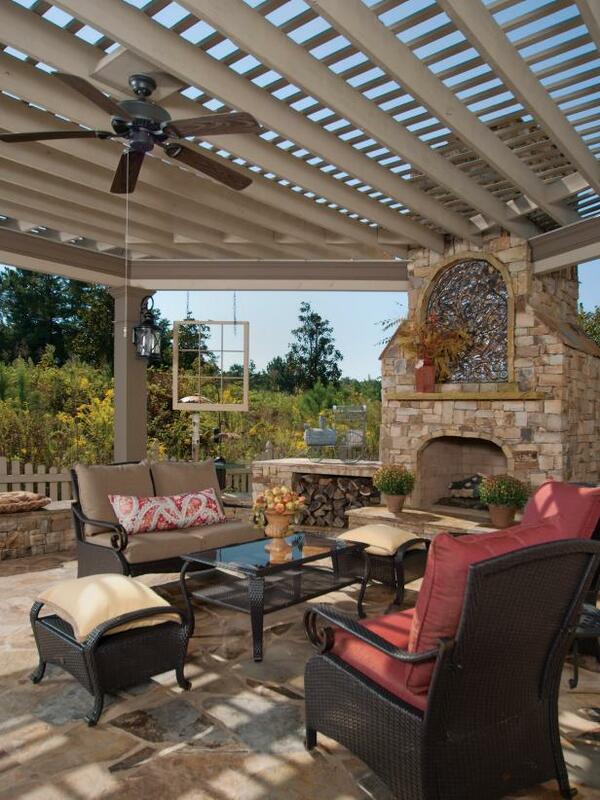 For an expansive pergola, Atlanta Decking and Fence used two ceiling fans, but chose versions with smaller blades and interesting cage globes. 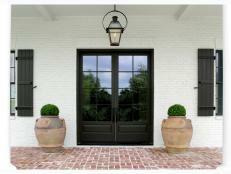 When you have porch lighting, such as recessed can lights and sconces, a ceiling fan may not need to have a globe with it. 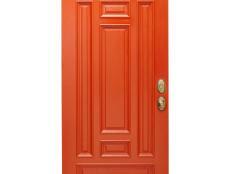 Consider matching your ceiling fan to the color of the ceiling or the home. 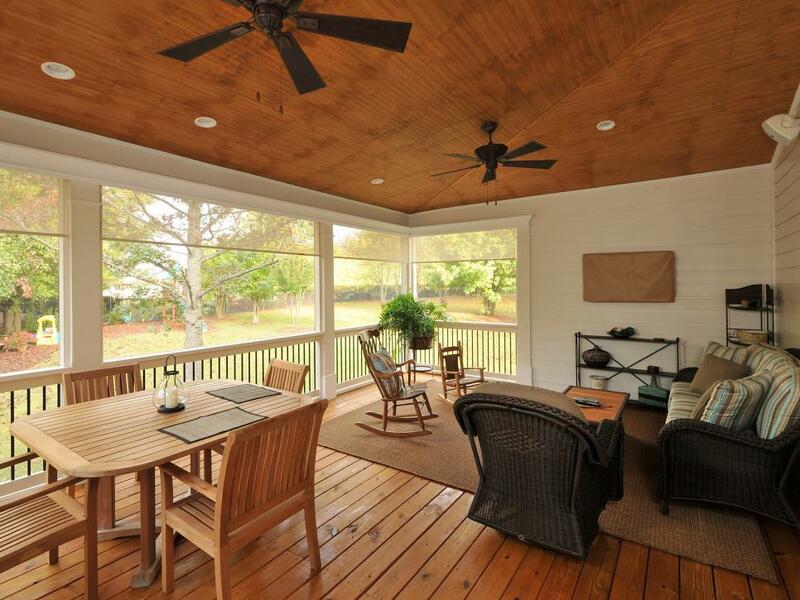 This white ceiling fan on a front porch seems to fade into the background, while still providing a breeze. 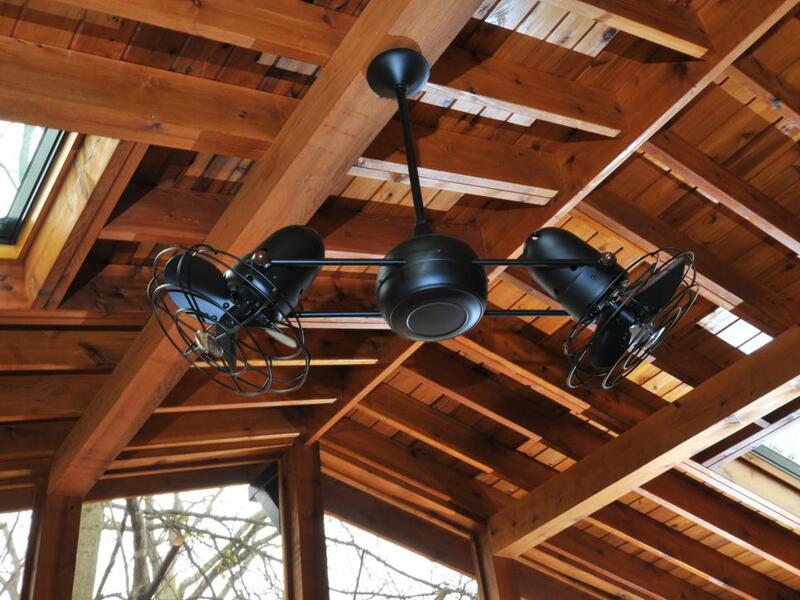 A hip roof design can still accommodate ceiling fans, such as these fans hanging from a cedar ceiling designed by Innovative Construction. 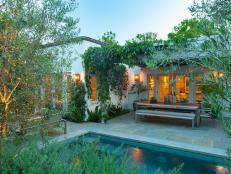 The color of the fans matches the wicker furniture and contrasts with the lighter ceiling and walls. 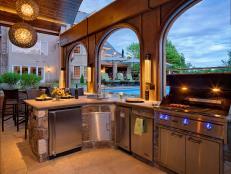 When the cooking action in outdoor kitchens heats up, a ceiling fan can offer relief. 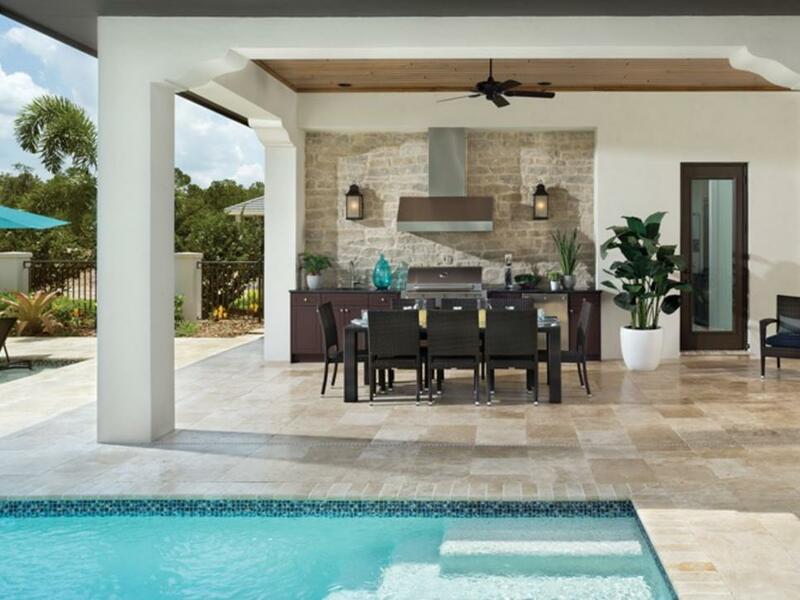 A luxury covered outdoor space features an unadorned ceiling fan in a color tone that suits the table, chairs and cabinets. 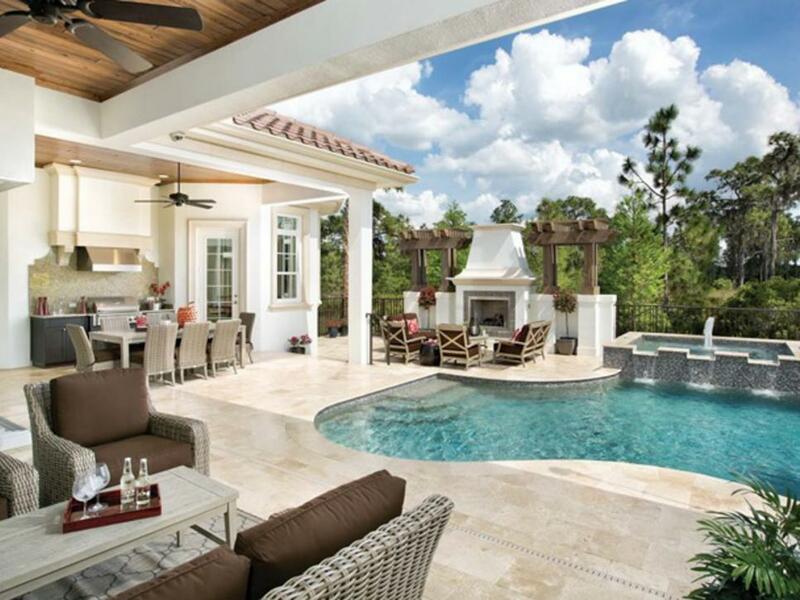 This luxury outdoor living space in The Concession, a gated community in Bradenton, Fla., has all the details, including ceiling fans that outfit the kitchen/dining space and a conversation area overlooking the pool. 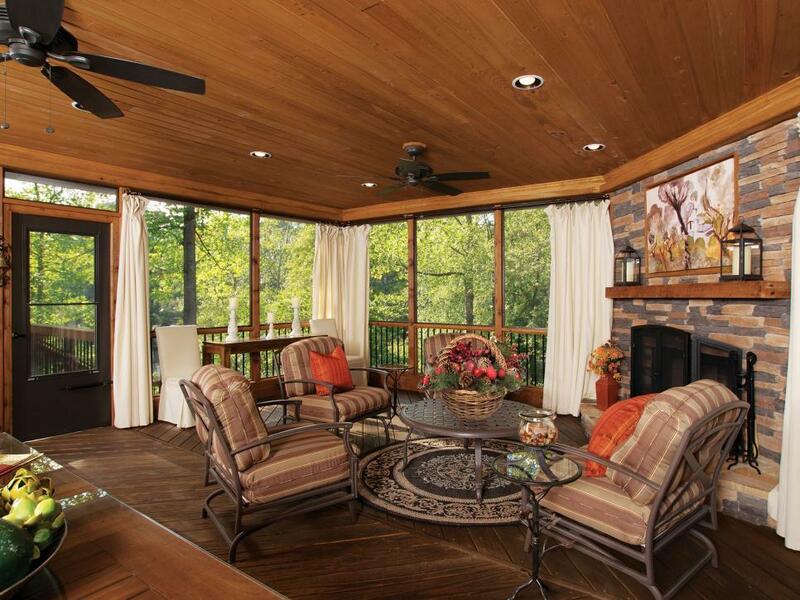 To add a unique architectural element to the screened porch designed and built by Innovative Construction, metro Atlanta homeowner Jonathan Berger was inspired by a fan he saw on the HBO series, "Boardwalk Empire." He found the Duplo-Dinamico rotational ceiling fan by Matthews Fan Co., and chose the black finish because it looked more authentically retro and matched his home's exterior accent color. 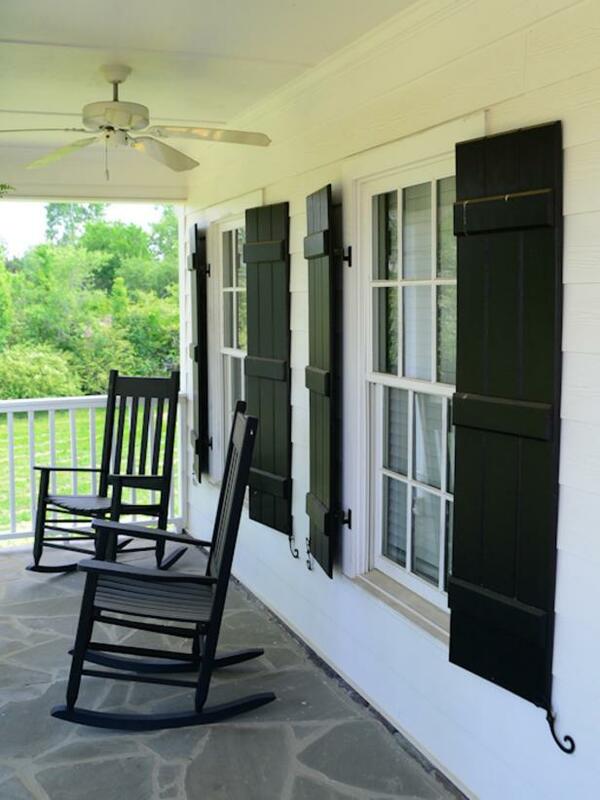 Copper ceiling fans can bring classical character to a covered porch. 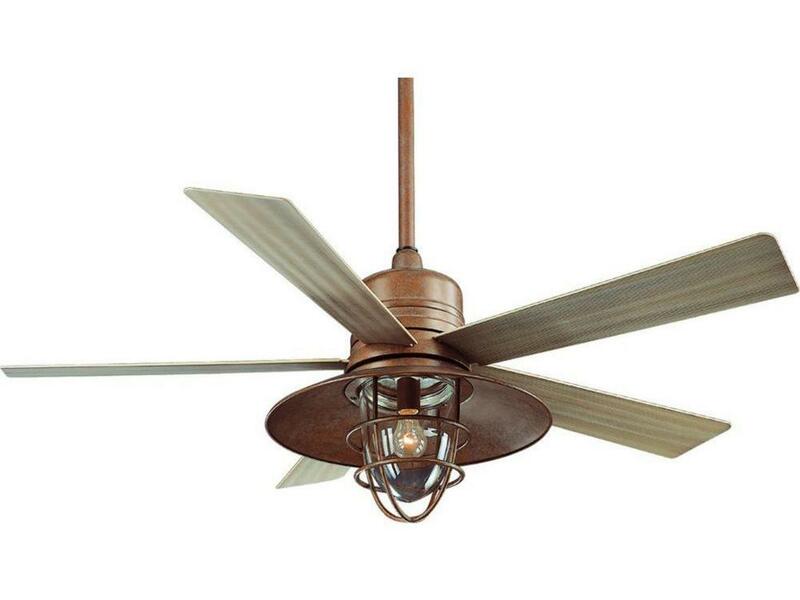 The Hampton Bay Metro Rusted Copper Ceiling Fan, sold by The Home Depot, has three speeds and all-weather blades. 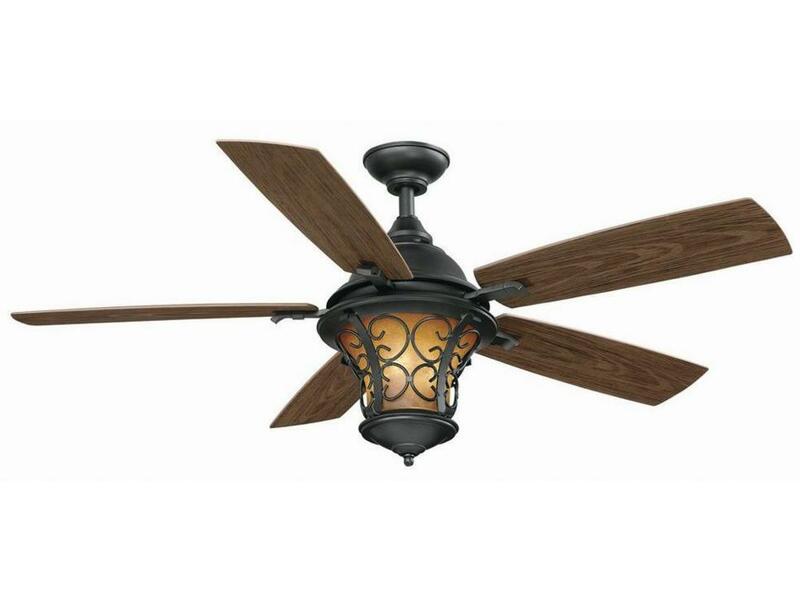 A lantern-style light can draw attention upward, when the indoor/outdoor Hampton Bay Veranda II Natural Iron Ceiling Fan from The Home Depot is attached to a pergola or porch roof. 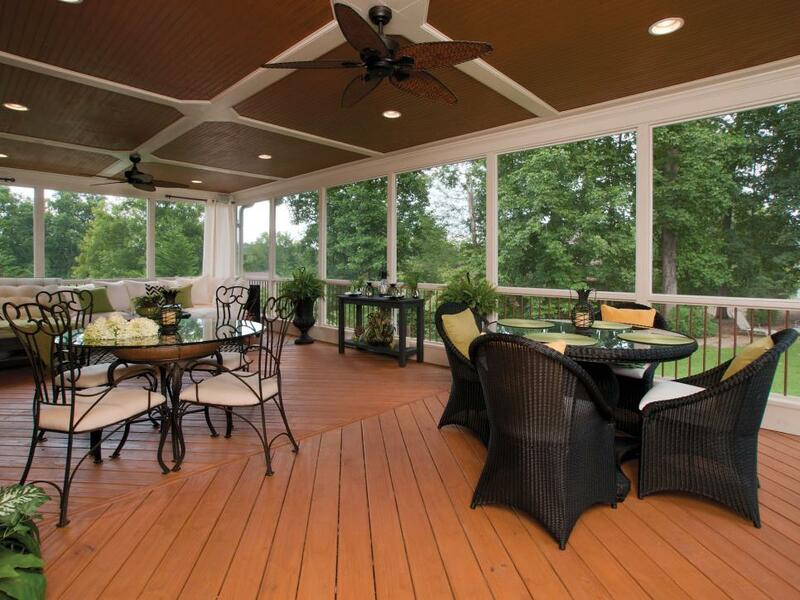 The walnut-finished blades of the fan are weather resistant. 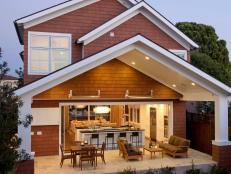 For a contemporary ceiling fan, look for finishes such as steel. 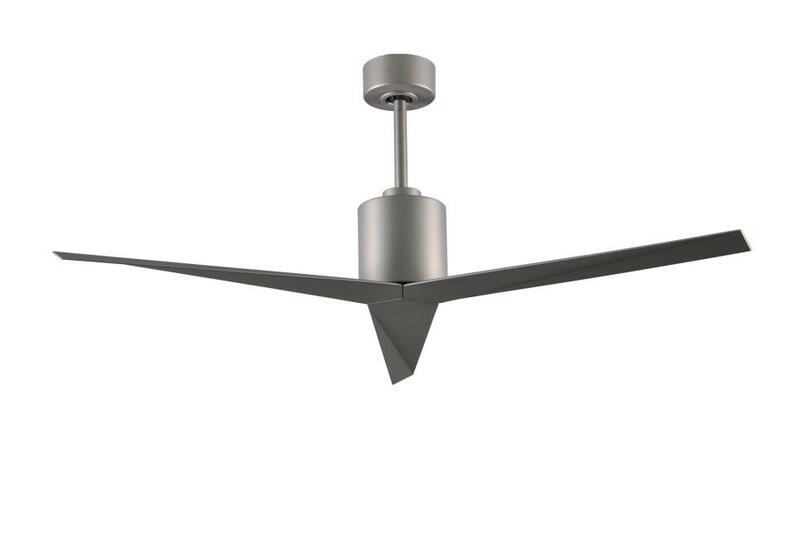 The Eliza ceiling fan has three steel blades, by Matthews Fan Co., sold through Wayfair.com. Whether or not your home is on the water, your ceiling fan selection can bring in a nautical design without going overboard. 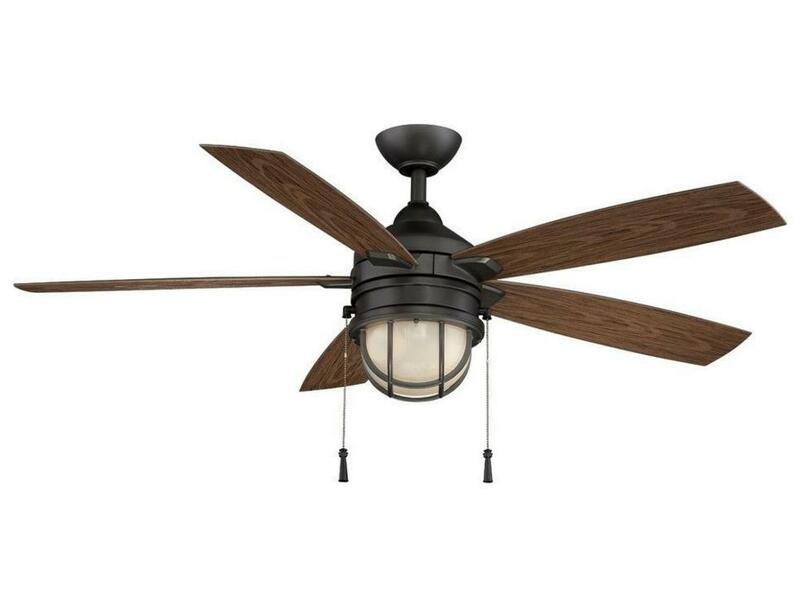 The Hampton Bay Seaport Natural Iron Ceiling Fan, sold by The Home Depot, has a bulkhead light kit with frosted glass, a natural iron finish and weather-resistant iron blades. 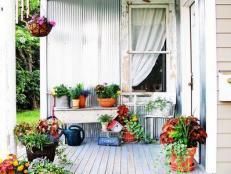 A vintage-style option for a covered porch is by Home Decorators Collection. 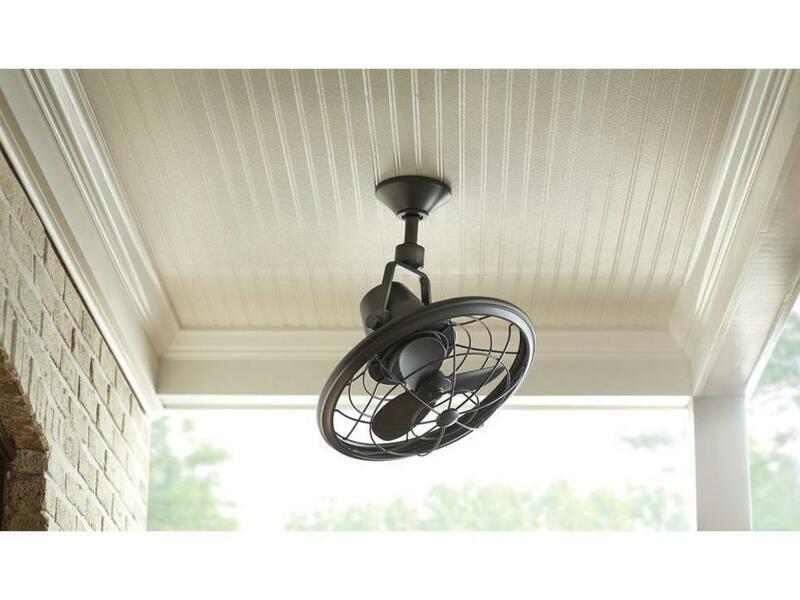 The Bentley II Tarnished Bronze Outdoor Oscillating Ceiling Fan from The Home Depot features a caged design and sways back and forth. 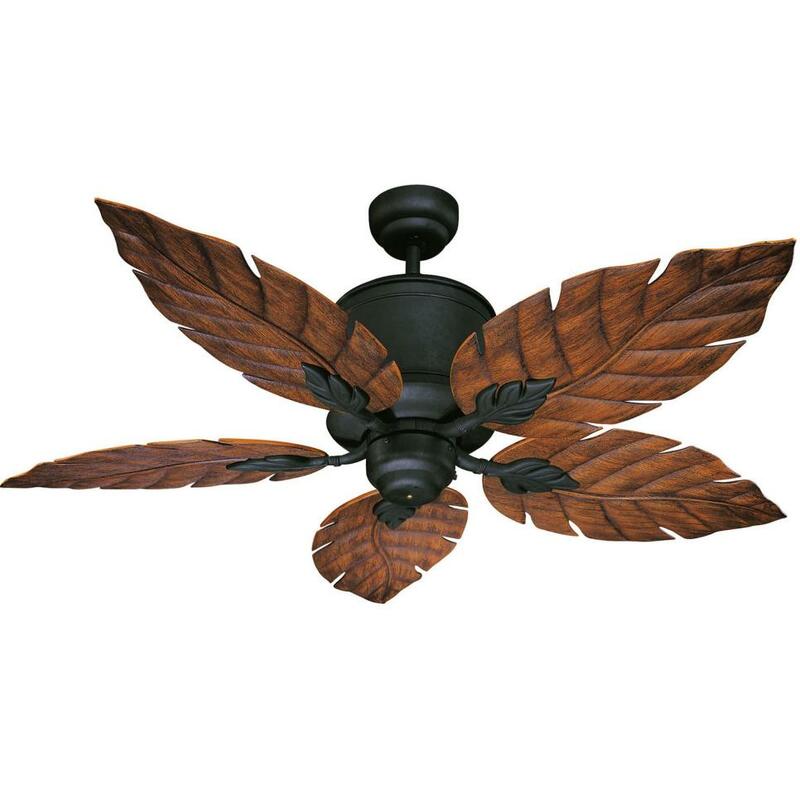 A leaf design is used for the blades of The Clinton 5 Blade Outdoor Ceiling Fan by Savoy House, sold through Wayfair.com. The fan has a English bronze finish and rosewood blades.